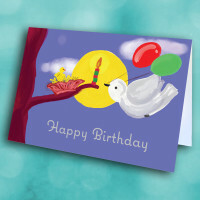 Make someone's special day more meaningful with this sweet birthday card. 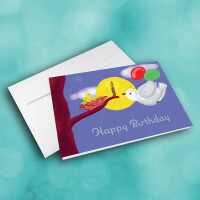 Send your wishes to someone on their big day with this birthday greeting card. 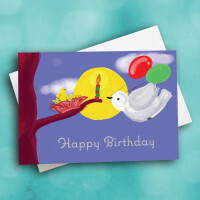 On the front, a momma bird brings back colorful balloons to her baby birds, awaiting her by a lit candle. 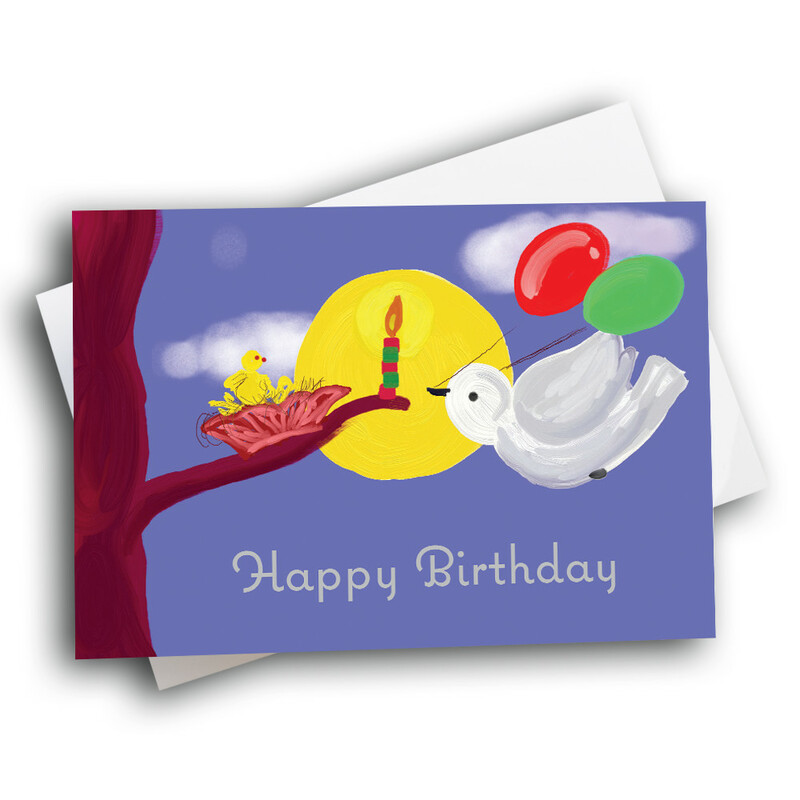 They're framed against the golden sun in a blue, cloudy sky. 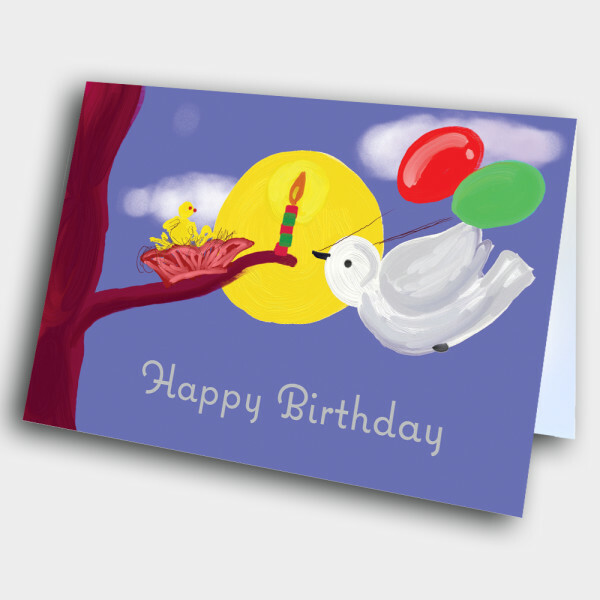 The entire card is artistically painted, and conveys the warmth of your wishes. 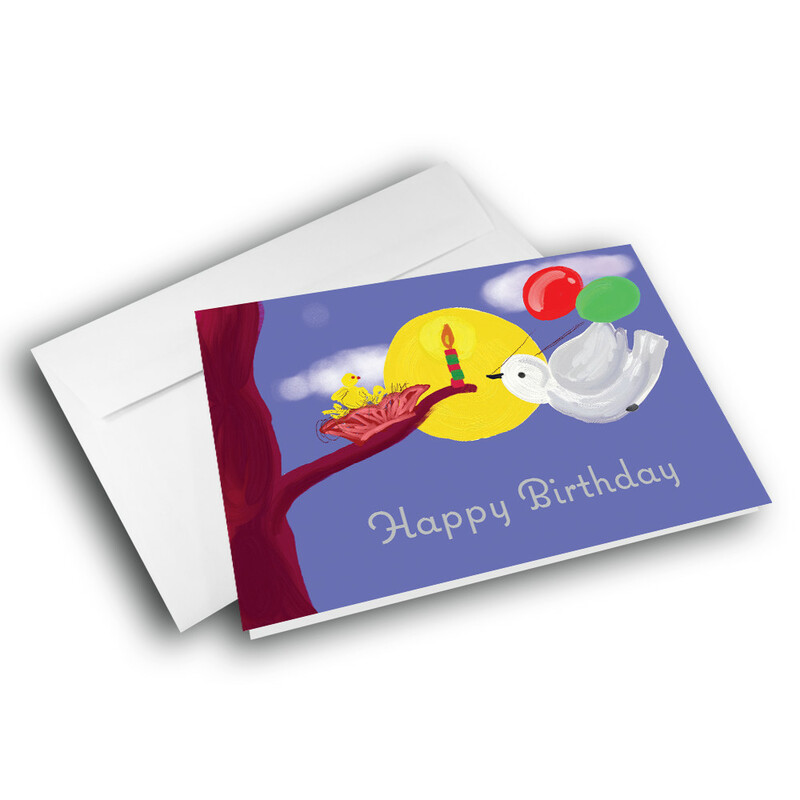 Add a personalized message to make this a custom birthday card.